during the DCI World Championships. With more than 5,000 performers headed to Indianapolis for the 2012 Drum Corps International World Championships Aug. 9 to 11, and thousands more spectators, DCI will rely on the help of hundreds of volunteers to run the monumental weekend. Next week, some 250 volunteers will descend upon Indianapolis and put in more than 1,000 hours to help keep all of the scheduled World Championship events running smoothly. To help organize this massive undertaking, DCI has partnered with The Registration System. 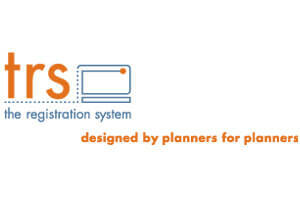 TRS online software is the market's most popular solution for online ticketing, event registration and volunteer management. Developed by event planners for event planners, TRS is the online engine behind North America's biggest and most successful events. "DCI is thrilled to be using TRS this year for our Championship volunteer and special event registrations," DCI Senior Manager of Event Services Patty Creech said. "Utilizing the same system that the Indy Super Bowl Committee used gives us a level of confidence and effectiveness beyond anything we have ever used before. Our Indy volunteers are always happy when another event uses TRS for their volunteer management, because it is so user friendly for them." Your time as a volunteer can help support the three-day competition that will feature 40 drum and bugle corps and numerous special events and celebrations that will highlight the exciting conclusion of Drum Corps International's 40th anniversary season. Those interested in volunteering must complete an online profile in order to see the jobs and shift times available. The deadline to apply is Friday, Aug. 10, but positions are filling quickly! • All volunteers must be at least 18 years of age at the time of application or acquire permission if younger. • All volunteers will be provided with a 40th anniversary event volunteer T-shirt and commemorative badge. • All volunteers are required to attend a volunteer registration open house designed to familiarize each individual on all planned activities. Volunteers will be briefed on basic skills, specific responsibilities and given an overview of event locations. • Volunteer opportunities range from event logistics support to unique fun jobs helping to stage the parade. • Volunteers must register for at least two (2) shifts. Certain positions may require some physical strength, constant activity during a shift, and/or standing for periods of time. 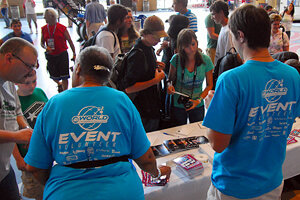 Learn more about volunteering at the DCI World Championships. Learn more about The Registration System online.